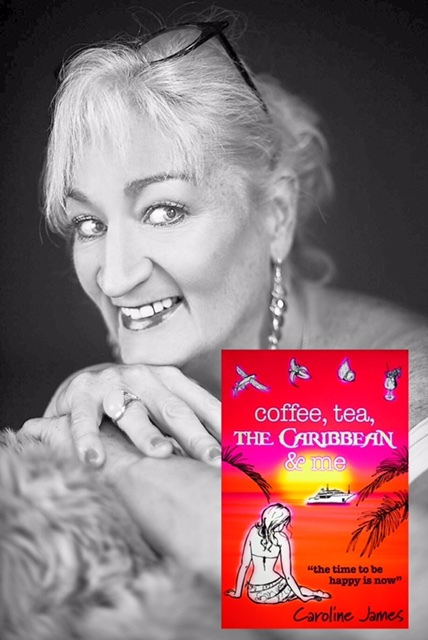 Coffee, Tea, the Caribbean & Me By Caroline James was published by Ramjam Publishing Company on February 12th 2016. Women’s Romantic Fiction. Jo and Hattie are two middle-aged friends at a crossroads in their lives. Jo is depressed and in a rut after her husband’s death, while her best friend and former employee, Hattie, is also ready for a change after the breakdown of her marriage. The adventure starts when both women decide to take a trip to visit Jo’s son in Barbados. It was refreshing to read about mature women supporting each other and enjoying life in sunny Barbados and although it was fun to read about their escapades, the novel is also about friendship and overcoming loss. Hattie is the honest and fun friend we all need at times and offers many of the hilarious moments in the novel. There are plenty of other engaging characters, who will make you smile, laugh, and cry. I didn’t realise it was the second book in a series, and I didn’t miss not having read the first book. It is an enjoyable and optimistic novel about friendship, loss, and the second chances, which could lie ahead if we’re prepared to take up the challenge, and open our eyes. I’ve been reading a few of those lately, which is a welcome change 🙂 Patricia Sands, Jan Ruth, Laura Taylor have some contemporary romance with maturer men and women. This sounds like a real winner, Luccia. A fun beach read for this summer! Yes, it is! And very English!